application: Rebrand of a wedding venue and materials. Brief, rebranding of a wedding venue, starting with logo design & all marketing materials. High-end beautifully designed materials were created to raise the venue’s profile and attract new brides & grooms. 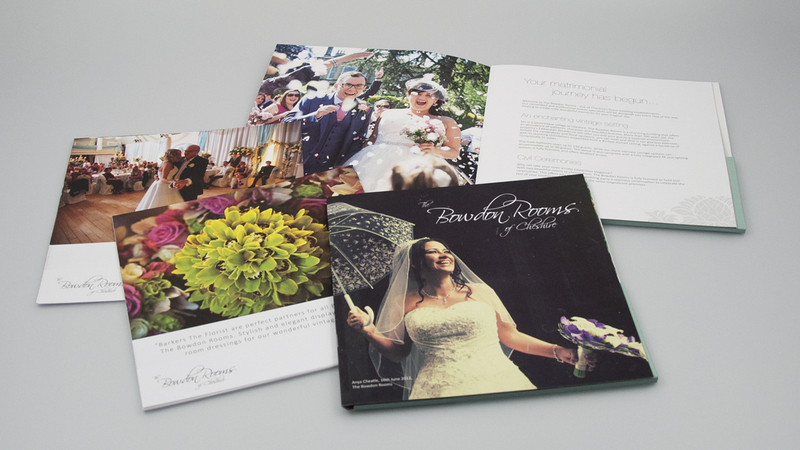 Adverts, Wedding Fayre materials and brochures outlining the individuality of the venue and it’s bespoke services were developed using existing client (bride & groom ) photos, giving all the material a very personal feel.